Furniture Depot is a new company with an exciting new product range for the Office, Hospitality Industry or just to add a bit of excitement to your Home. 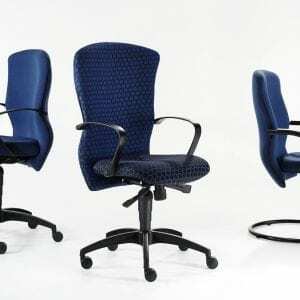 Our extensive range has been designed in-house and consists of Office Chairs, Tubs seats, Stacker chairs, Benches and barstools. We boast an onsite Toolroom so no job is too big or too small. The seats are made of a revolutionary new system which is created using an Integral Skin Polyurethane Moulded Foam Process. A robust steel frame is in-moulded with a polyurethane mix specially formulated to create a thick outer skin and a soft interior, giving a luxurious feel of comfort and support. This hard wearing skin which replaces conventional upholstery can be manufactured in various colours to suit your taste or aesthetic requirement. Our product range is tried and tested guaranteeing a high quality, fair cost South African made product. No job is too big or too small. Please contact us with any enquiries on bespoke work or to find out more about our versatile and extensive range of office chairs, tables, stackers, barstools and benches.